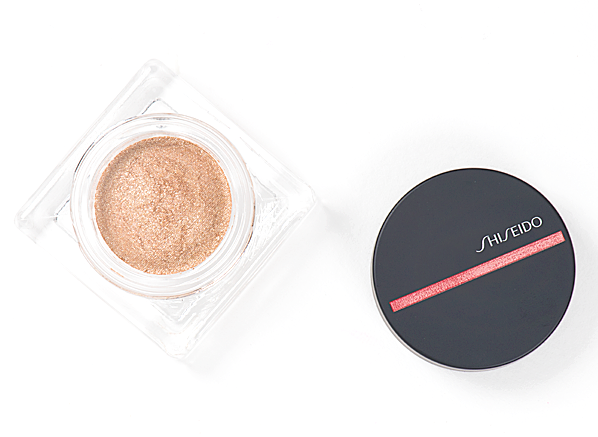 This November we’ve brought you the creme de la creme of new beauty! Proud to announce we’re now an official stockist of Urban Decay, Lancome, Kiehl’s and YSL beauty, there’s so much to talk about. But what’s actually worth raving about? 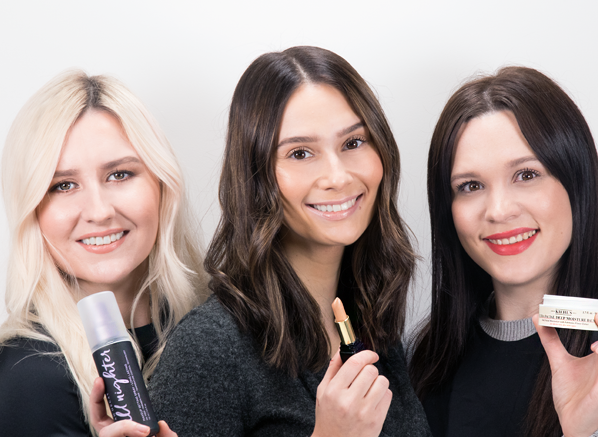 Emma, Chelsey and Ceryn talk you through the skincare, makeup and fragrance launches that are worth investing in! I ADORE a lip stain. They’re my lip product of choice, and if said lip stain is shine-free and available in some stellar stand-out shades, then it gets double brownie points. Tatouage Couture Matte is my lip sidekick of choice right now, offering outstanding comfort and the sort of intense, long-lasting pigment that gets my beauty-loving blood pumping. 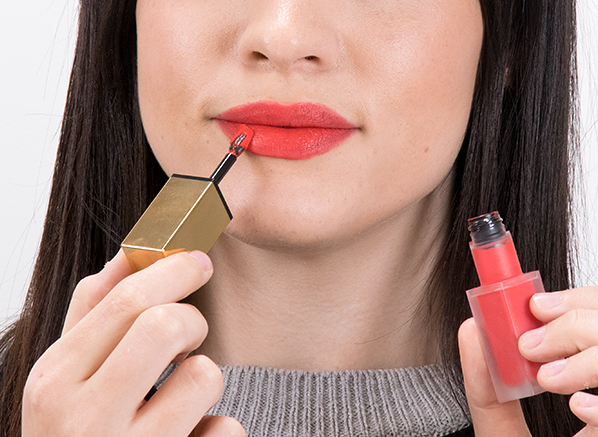 There are so many good shades in the collection, but my favourite is 13 True Orange, a happiness-inducing red-orange that instantly updates my winter jumper-and-jeans uniform with a touch of YSL chic. I have to give a special shout out to the incredible paddle applicator, too – even when you’re in a rush, it lets you achieve a crisp lip line with minimum effort. It really is the matte lip stain that you’ve been waiting for. It’s that time of year again – it’s time to double down on your facial skincare regime to make sure that your skin’s properly protected from all of those elements that are out to sap your skin of moisture. Yep, I’m looking at you biting cold winds and central heating! 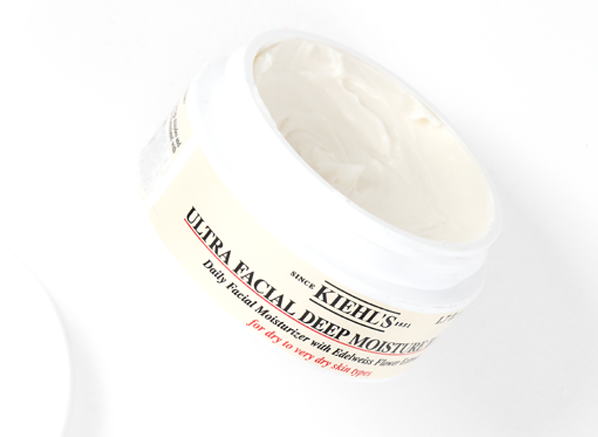 My absolute favourite skin cocoon of late has been a brand new discovery of mine: the Kiehl’s Ultra Facial Deep Moisture Balm. When I say this is a balm, I really mean this is a balm – it’s ultra-rich, with a buttery texture that will probably remind you a little bit of a body product. But that’s not to say that only ultra dry skin types will be able to use this; all skin types that are going through a bit of a wintery wobble can add this to their skincare routine as their nightly moisturiser to repair, protect and rebalance their skin overnight. Nothing else has been quite effective as this on my dry patches! From 7am until 7pm, I like (expect) my makeup to stay put and for the past month, Urban Decay’s All Nighter Setting Spray has been helping keep everything in check; It even stops my eyeshadow from creasing! I’ve heard so many people raving about this makeup mist and the talk is true – it’s absolutely incredible at keeping everything in place, and highly recommended if you have trouble with getting your makeup to last! Anyone who knows me knows I’m a glitter magpie, so when I started playing around with Shiseido Aura Dew, I had to have it. I love a multitasker and I’ve been able to get really creative with Solar. I put it anywhere; cheekbones, brow bone, eyes, decolletage… I’ve even used it as a primer to give my base an extra glow on dull days. Plus, it’s perfect for party season! A gold lipstick? No, I haven’t lost my mind, this is actually my new favourite way to elevate my lip look. The KISSKISS Creamy Shaping Lip Colour in Electric Gold offers more of a sheen than a bold pigment and it looks beautiful worn alone to give lips a glow, or over the top of your favourite lip colours to make them pop. Personally, I think this couldn’t be a better find ahead of the festive season. Plus, it’s enriched with the same hydrating ingredients as the rest of the KISSKISS range so my lips won’t be drying out anytime soon! This is staying in my makeup bag all season long. I’m a serial foundation switcher. I’m always looking for the next best thing, which is hard not to do in this job. That’s how Lancome Teint Idole has become my new obsession; the beauty world has been raving about its extensive 40-strong shade line-up and its skin-perfecting formula and before I knew it, I needed it. After putting it through its paces I can completely see why everyone’s obsessed. Despite its great staying power it’s not cakey or heavy on the skin, or too matte actually.t’s just naturally flawless-looking. 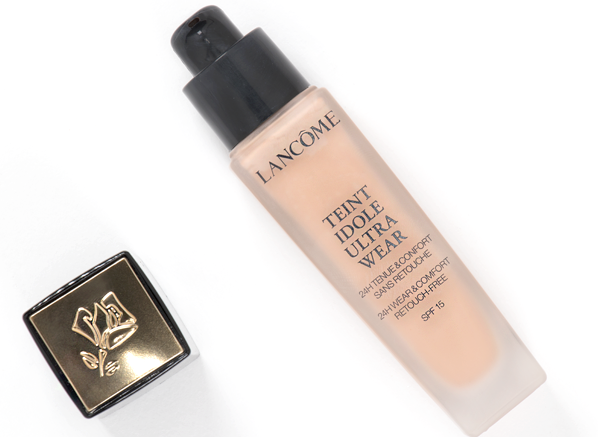 Usually, anything too full coverage isn’t for me, but there’s something about Teint Idole that has me coming back for more; my skin just looks so healthy and evened-out when I wear it! This entry was posted on Friday, November 30th, 2018 at 10:17 am and is filed under Essentials, Fragrance, Gifts, Lifestyle, Make-up, Monthly Favourites, New products, Skincare, Tried & Tested. You can follow any responses to this entry through the RSS 2.0 feed. You can skip to the end and leave a response. Pinging is currently not allowed.